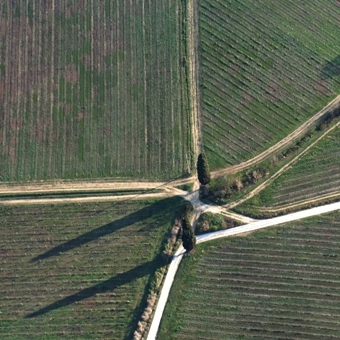 We are based near the town of San Casciano in Val di Pesa – Florence, Tuscany, Italy. 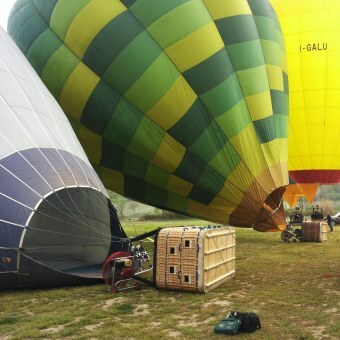 Our usual launch field from where the balloons takeoff is located 8 miles south of Florence along the Pesa valley strategically positioned along the main road leading from Florence to Siena. 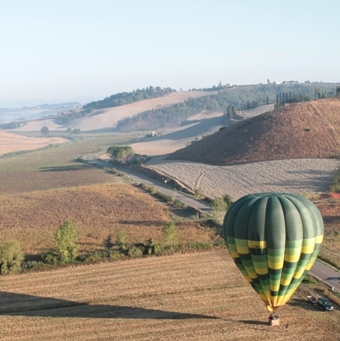 From here we fly over the legendary Chianti landscape with its hill-top towns, castles, famous vineyards, silver olive groves and mixed woodlands. On clear days in the distance you can see Florence to the North and the Apennine mountain range in the background, to the West you can see the Elsa valley, San Gimignano, Certaldo and Volterra and on high flights even the sea and Elba island in the far distance; to the South, Poggibonsi, Colle Val d’Elsa and Siena and Monte Amiata in the distance; to the East the higher ‘Monti del Chianti’ and mixed oak woodlands. On special request, for private flights we do fly also from other launch fields near Siena, Castelnuovo Berardenga, Buonconvento and near Colle Val d’Elsa, Mensanello, Monteriggioni and San Gimignano, Volterra. 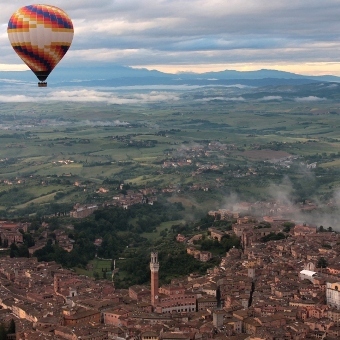 We also fly near Lucca.